Shaving with razor is an affordable and quickest way to remove unwanted hair. However, the biggest drawback of this method of hair removal is the risk of razor burn. A razor burn can be defined as skin irritation that not only looks unsightly but it also source of pain and discomfort. Razor burn issue is most common with men to shave their faces frequently. Women can also have razor burn problem after shaving their legs and armpits. There are several signs and symptoms of razor burn, such as rashes, redness, itching, swelling, burning sensation, and small red bumps. It can be affect any part of the body including the face, pubic area, legs, and armpits. There are many causes of razor burn, such as dull blade, hard soap, shaving on dry skin, and sensitive skin. 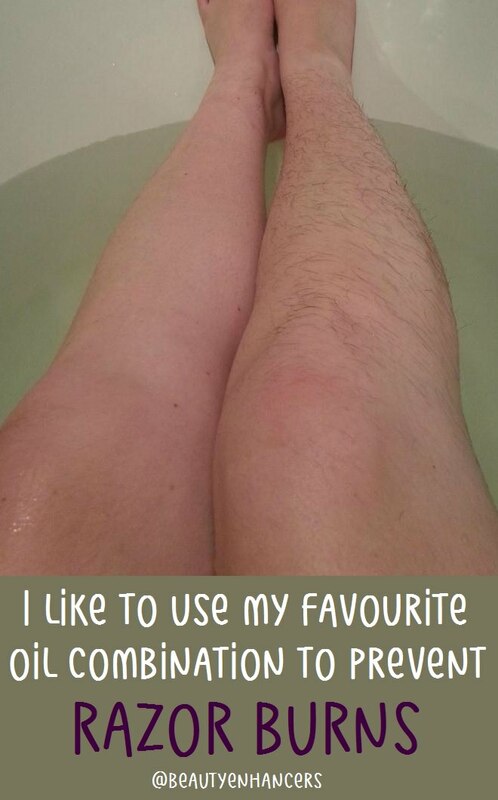 So you must keep in mind, if you don’t follow proper shaving techniques, razor burn will be happened. How to Get a Smooth Shave? 4. Moisturize the skin after shaved - I love to use my favorite oil combination after shaved - recipe below! Mix well all above ingredients and store it in a glass container. Thanks for joining me, stay tuned for lots more amazing recipes.